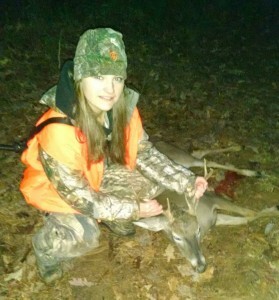 GOBBLE GOBBLE BOOM!! 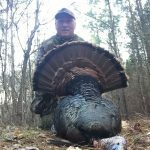 The 2019 Turkey Season is underway with several members taking birds throughout the first week. Most hunters are reporting birds being very vocal on the roost, but saying little to nothing once pitching down. Several have also mentioned hens being very vocal as well, making it very difficult to call a gobbler away. Kevin Arbough and Konner Bullock have been getting it done, though. Kevin took a very nice bird on March 21st (pictured left) then a second bird on March 28th (upper right). 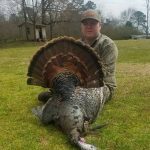 Konner Bullock bagged what could be a bird of a lifetime. His bird broke the 20lb mark and was triple bearded. As a reminder, the new Game Check System by the MDWFP is now available for use. 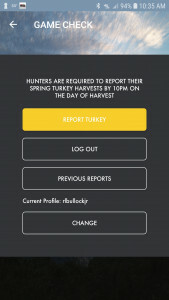 All hunters are required to report bird harvest by 10PM on the day of harvest. See more information on Game Check below. GAME CHECK IS HERE!! With the 2019 turkey season fast approaching, all members should be aware that new regulations require the hunter to report the turkey harvest by 10PM on the day of the harvest. 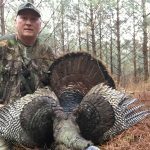 Reading the online article published by the MDWFP clearly states the hunter SHOULD report the harvest PRIOR to removing the turkey from the harvest location. Harvests can be reported by using the MDWFP smartphone app, online at GAME CHECK, or by calling 1-800-BE-SMART. The article encourages using the smartphone application. 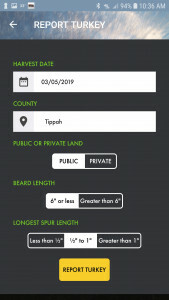 Even if there is no service at the harvest location, the app will allow the entry of data and record the location, then upload all of the information once the user enters a service area. Click on the image below to view the full 2018-2019 Harvest Gallery. 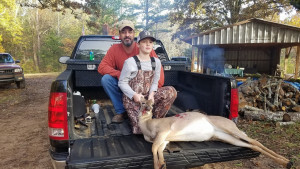 As many have heard, Mississippi recently had the second confirmed case of Chronic Wasting Disease (CWD) confirmed here in North Mississippi in Pontotoc County. 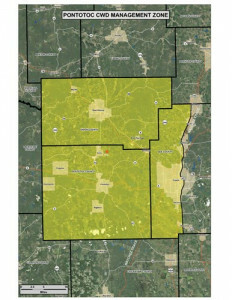 As result, a southern portion of the club property is included in the recently established CWD Management Zone. DCHA encourages all members to educate themselves with the current regulations. Members and visitors can find more information on CWD by clicking here. Due to our proximity to the CWD Management Zone and considering we have members who travel from outside the zone to hunt, we highly encourage members to educate themselves with the Carcass Transportation Ban. You can find information on sample drop-off locations, as well as sample drop-off instructions by clicking on the zone map to the right. Our 2018 Youth Day event was a huge success with the kids. Our grand prize winner was Cason Henry of New Albany pictured right and below (with his dad Eric). 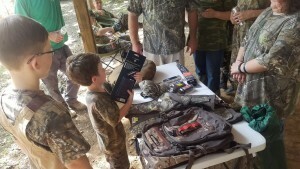 We had a huge turnout and all of kids seem to have a big time spending time in the outdoors, then food and prizes at the club pavilion. We want to thank all of the dads, granddads and mentors who turned out to help make this day possible. 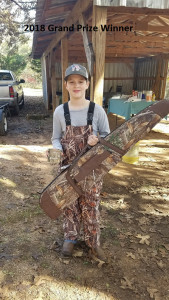 10/11/2018 – We’re a week into archery and squirrel season and the weather is finally taking turn to the cooler side. 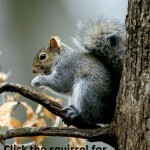 Most squirrel harvests reports are that a lot of squirrels currently have warble fly larva (wolves). The cooler temps should assist with that. Game cameras footage reports vary. 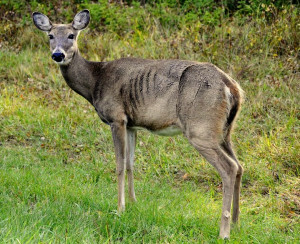 Some members are reporting getting very few pictures, but most agree the warmer temps and abundant food sources are likely keeping deer from moving. 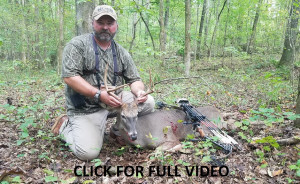 A few members are reporting high numbers of deer captured on camera. I look forward to seeing everyone on the club. 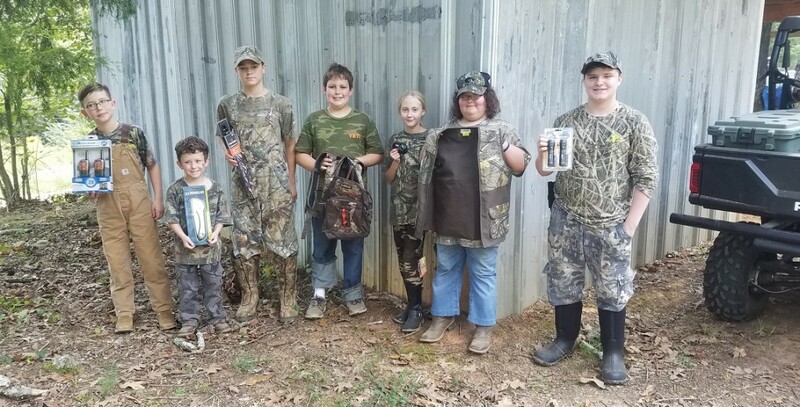 2018 YOUTH SQUIRREL HUNT Our annual Youth Squirrel will be held on September 29th. All participants under license age are welcome to attend. Participants must be accompanied by a licensed adult. We’re looking forward to a record attendance this year! The event will begin at sunrise and all squirrels must be checked in by 11AM. The awards ceremony and lunch will begin at that time. The work day for this year has been scheduled for September 8, 2018. If you have a plot area in mind and plan on needing help on the work day to get it planted, please take the necessary steps to have it cleared and/or sprayed prior September 8th. 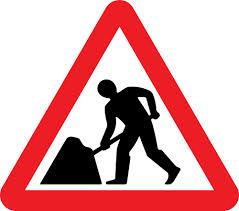 There will be planting equipment available on the work day to help you get the plot in the ground. Hog activity is creeping back up on the property. Pictured above is Dain Chapman with a 274lb monster taken on the property in early November. 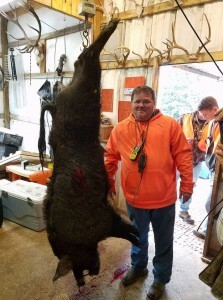 Many other hogs of this size have been seen on the property in recent weeks. 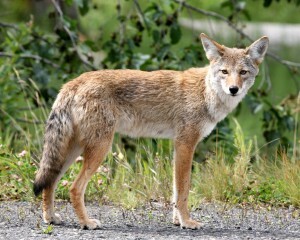 Trapping Alert 11/2/2017 – The club approved to extend the trapping periods to that as designate by the state for the purpose of trapping coyotes only. 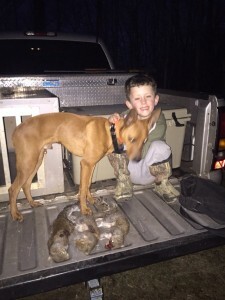 All traps being used on the property are designed for live trapping purposes, but members and visitors alike should be aware that active trapping will occur throughout hunting season with exception to the dog running seasons for deer. Traps will also not be used in designated rabbit zones. As a reminder, our 2017 Youth Deer Hunt is coming up on Saturday, November 4th. We’re looking forward to a big day for our DCHA Youth!! We’ll be have lunch provided around noon and prizes for all youth who attend. Anyone who would like to donate prizes for the kids, or simply contribute to the event, please get with Lee Bullock or Jalon Bullock. 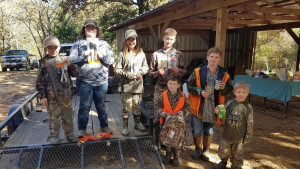 Our 2017 Youth Squirrel Hunt was a huge success. Above is a picture of our participants. Pictured left to right are Will Speck, Max Bullock, Brayden Tillery, Myles Owen, Atrea Breland, Payton Criddle, and Ethan Chaney. 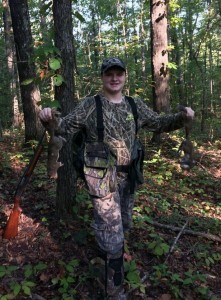 Pictured left is Ethan Chaney with a couple he took while accompanied by his grandfather, Sammie Hare. The kids were super excited as you can tell from the picture where all are viewing the prize table. We want to extend huge thanks to all of the dads, granddads, uncles and older brothers who took the time to come out and bring the kids. Weather was a bit warm, but the food and fellowship were great. 1. The hunt is open to all hunters under age 16. 2. The hunters may not hunt alone. An adult will be assigned if they can’t find one. 3. 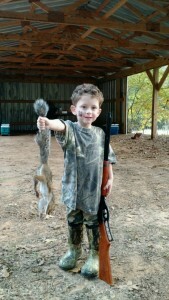 Non- members are allowed to hunt with a non-member adult if invited by a member of Dry Creek Hunting Association. 4. An adult may take multiple hunters but please keep it safe. 6. The hunt will end at 11:00. You must check in harvest by 11:30. 7. 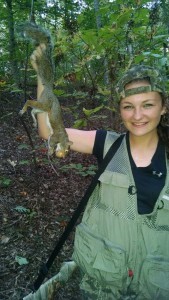 All squirrels must be taken legally, by the youth, on DCHA land. 8. Prizes will be given to all participants. 9. If a tie were to occur (for instance, two or more harvest 8 squirrels), we will weigh the bag limits taken by the tied hunters. Fun, Food and Fellowship! Come join us! Our work day was a HUGE success. Plenty of folks showed up and although we had limited equipment, we got in all done. We want to thank everyone who came out to help and it looks like we hit the weather just right. A very special thanks to Sammie Hare and his grandson, Ethan, who took the time to provide lunch for everyone. I was also impressed to see the youth out there pitching in. 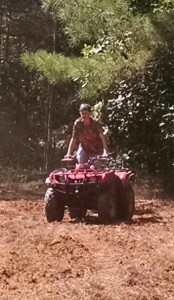 Mikey Bedford is pictured left harrowing one of many plots planted on Saturday. Safety First!!! 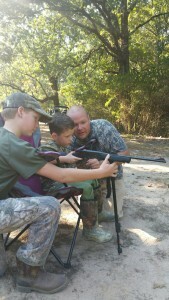 Here is Daniel Bullock (left) helping out Jalon Bullock teach young Max how to safely handle a 22 rifle. Safety, especially with the children, is always our top priority. The 2017-2018 season introduces a change to our doe harvest rules. 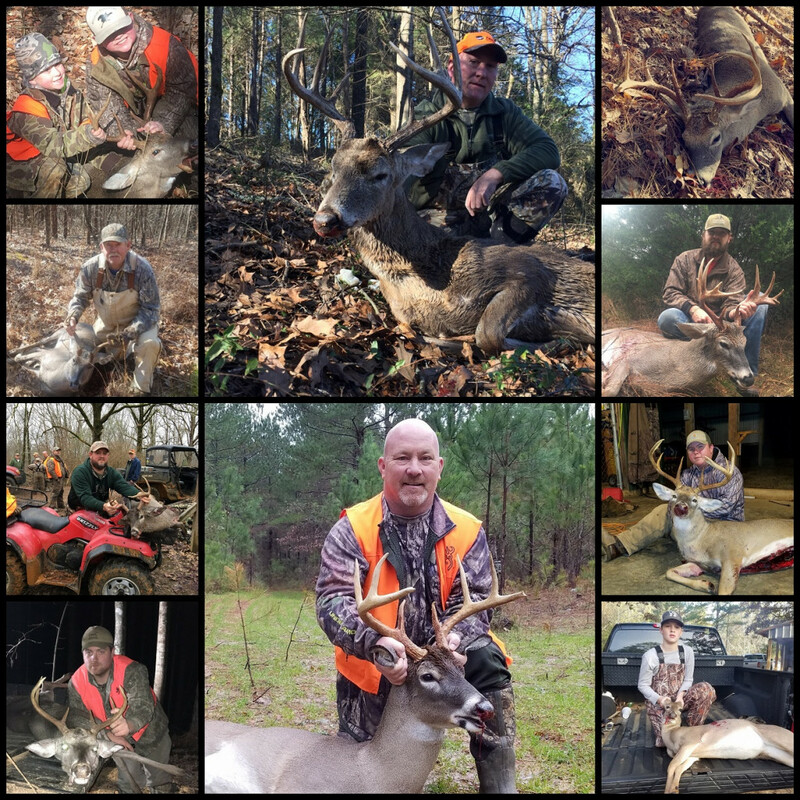 For the 2017-2018 season, each membership is restricted to only one antlerless deer by any method as dictated by current season through December 23rd. As of December 24th and forward, no antlerless deer may be harvested. This is a progressive plan to maximize the breeding opportunity during the rut period and increase our fawn drop rates. 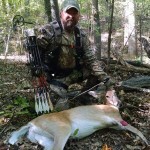 For a short fun story and information on identifying deer, check out the article Deciding To Shoot by Lee Bullock, VP-DCHA.